Meet at the dirt parking area at the end of Wendy Rd and Potrero Rd. This is about an 19 mile ride with some extended climbing. Expect to be pedaling 2-2.5 hours. While this is not a technically challenging ride, it is very demanding for a beginner or those not used to riding long distances. Ideally, we will take minimal rest stops. 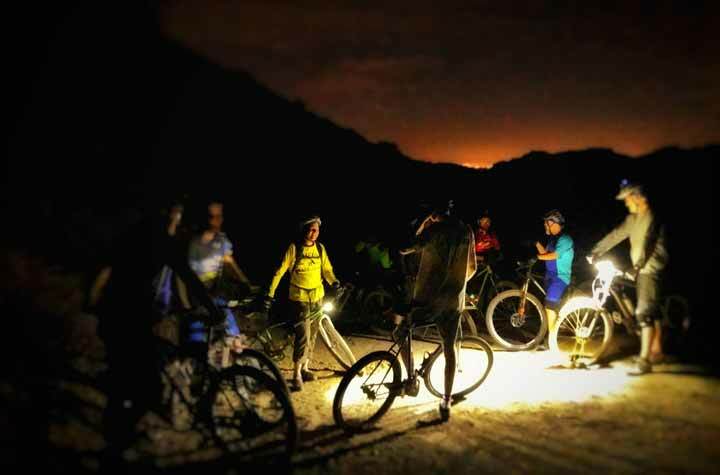 Route: Drop into Sycamore Canyon from Newbury Park side. Right on Ranch Center, left on Sin Nombre, connect to Two Foxes. LEFT on Wood Canyon fireroad, RIGHT up Wood Vista Trail, aka Backbone. Across the ridgeline and down Guadalasca Trail. Right on Big Sycamore fireroad. Left on Two Foxes/Sin Nombre back to the paved climb out to Newbury Park.